Jayant Choudhary is serving his first term in the 15th Lok Sabha. 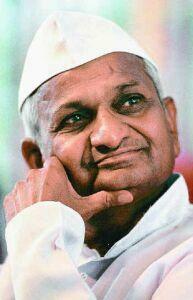 He contested the 2009 General Election from Mathura, Uttar Pradesh and won by a margin of 1.69 Lakh votes. Born on 27th December 1978, Jayant did his undergraduate studies from Shri Venkateswara College, Delhi University, and in 2002 completed an MSc in Accounting and Finance from the London School of Economics and Political Science. Jayant has been a vocal critic of the 1894 land acquisition law and the large-scale acquisition of fertile lands in the State of Uttar Pradesh. He was at the forefront of a number of agitations to protest the unfair acquisition of land in the State and in particular, the agitations in the Noida, Greater Noida, Mathura, Hathras, Agra and Aligarh districts. The agitations and the violence against protestors at Bhatta Parsaul, Bajna and Tappal recently led to a nationwide debate on the misuse of the provisions of the Acquisition Act, and the indiscriminate use of force on protestors. On 26th August 2010, thousands of farmers came to protest at Jantar Mantar in New Delhi where Jayant Chaudhary forcefully called for the Central Government to intervene and move to pass a new Land Acquisition law in parliament. On 5th August, 2011, Jayant introduced a Private Member’s Bill on Land Acquisition in the Lok Sabha. The main tenets of the Bill included measures for limiting the government’s acquisition for private profit and the use of urgency clause in acquiring land. The proposal calls for return of land to landowners in case the land is not utilized in the stated land use within a period of five years, including intended land use as a parameter in calculating market value as compensation for landowners, a time-bound procedure for the acquisition process, compensation and dispute resolution, and a Land Acquisition Compensation Disputes Settlement Authority to adjudicate in disputes. Jayant is concerned with the impact of climate change on our country, its agriculture and environment. He has spoken out in parliament on the need for countries like India, which have developing and large agrarian economies to come together and adopt a flexible approach that does not create barriers for growth but at the same time addresses the need for a global understanding and commitment on the climate change issue. Jayant is a vocal proponent of renewable energy. He attended a conference by the climate parliament organization in the European Parliament in Brussels in May 2011, and has called for the Government to set a target for India to achieve a 15 % share of solar, wind, biomass and other renewable energy technologies in total electricity supply by 2020. Jayant has also recently submitted to the Lok Sabha Secretariat, a Private Member’s bill to amend the Right To Information Act to increase the applicability of the act to ensure greater transparency. Jayant Chaudhary is a member of the Parliamentary Standing Committee on Finance and the Consultative Committee on Ethics. He also serves in the Parliamentary Committee on Ethics, and as a member of the Indian Council of Agricultural Research (ICAR). He previously served in the Standing Committee on Agriculture. Jayant Chaudhary is the Co-chair of the FICCI Indo-British Forum of Parliamentarians and member of the Indo-Venezuela Parliamentary Friendship Group. He is also a Co-Convener of the All Party Indian Parliamentary Forum for Tibet. Indian batsman Virender Sehwag today created history by becoming the highest scorer ever in a one-day innings and the second cricketer after team-mate Sachin Tendulkar to score a double century in the fourth ODI against the West Indies. Sehwag smashed his way into the record books with his stupendous 219, surpassing Tendulkar's 200 not out against South Africa in Gwalior on February 24 last year. This remarkable achievement gives Sehwag the unique distinction of being India's top scorer in both Tests and ODIs. He had scored 319 against South Africa in Chennai in 2008. The dashing opener reached the double century milestone when he square-cut Andre Russell for a boundary in the 44th over of the Indian innings, setting off wild celebrations in the stands and dressing room at the jam-packed Holkar Stadium. The entire cricketing world was treated to an encore of an unbelievable feat as Delhi Blaster Virender Sehwag bullishly slammed an ODI double century, a rarity only achieved once before by Sachin Tendulkar. Sehwag was pitted as the man to be the first one to reach Tendulkar’s record by the Master himself and he stood true to the reputation. Becoming the highest run-scorer in ODI history (219), Sehwag not only crossed Sachin but also helped India post a formidable 419-run target against the visitors. The 418/5 was also India’s highest total in ODI matches. When asked about the expectations from the fans, he was quick to counter stating, “Everyone expected this from me and I live on expectations. When Sammy dropped the catch, I thought god has helped me to get to 200”. BJP MLA and young Jat leader Hanuman beniwal Suspended from Bhartiya Janta Party(BJP) after remark against Rajasthan BJP Leaders including former rajasthan CM Vasundhara Raje and other leaders like Rajendra Rathore. The party issued a show-cause notice to Hanuman Beniwal yesterday and the decision to suspend him was taken today at a party meeting chaired by state president Arun Chaturvedi here. “We were getting repeated complaints against Beniwal for his remarks against the party leaders so we decided to suspend him,” Chaturvedi said. “He has been asked to submit his reply within seven days and the matter will now be referred to disciplinary committee for further action,” he said. Beniwal, at a function in Maharani Girls College on Saturday, had accused Raje of being “corrupt” and challenged Chief Minister Ashok Gehlot to take action against her. Mr. Hanuman beniwal is Sitting MLA from Khinvsar in Nagaur district, one of dominating Jat Lobby of rajasthan and known as new face of jat politics in rajasthan. The Congress government in Rajasthan seems to be passing through turbulence as, after the sacking of Mahipal Maderna from the cabinet over the case of a missing nurse, another minister in Chief Minister Ashok Gehlot's team quit Saturday over allegations related to a woman's death. Ramlal Jat, state minister for forest and environment, mines, said: "I have tendered my resignation to Chief Minister Gehlot, and have requested the CM to accept it." Jat recently was involved in a controversy over alleged hastening the post-mortem of a woman who died under mysterious circumstances in Bhilwara district. Paras Devi, 34, was the wife of Bhilwara Dairy's president Ratan Lal Choudhary, a close aide of Jat. The Congress legislator from Mandal constituency of Bhilwara district quit following a news report levelling charges against him. Refuting the charges levelled in the newspaper, Jat said that these were "completely baseless" and aimed at damaging his reputation. "I am ready for any kind of investigation by any investigating agency," he said. The post-mortem of the woman was conducted allegedly in the presence of Jat around 2 a.m. Sep 28 in Bhilwara after she died under mysterious circumstances. The post-mortem report stated the cause of death as peripheral circulatory failure, hinting at the possibility of poisoning, a police official said on condition of anonymity. The state government in the last week of September ordered an inquiry into the incident. On the other hand, Maderna was sacked from the cabinet by Gehlot Oct 16 over allegations that he had a role in disappearance of nurse Bhanwari Devi from Jodhpur's Bilara area Sep 1. It was alleged that the nurse had started blackmailing Maderna, the legislator from Osian, on the basis of a CD showing both of them in a compromising position. The case is being probed by the Central Bureau of Investigation (CBI). Maderna's questioning by the CBI is likely to continue Monday. Uttar Pradesh chief minister Mayawati has demanded the Centre to include the Jat community in the central Other Backward Classes (OBC) list and written a letter to the prime minister in this regard. In the backdrop of the state Assembly poll scheduled early next year, Mayawati has recently been on ‘letter to PM’ spree to woo the different segments of electorate. Recently, she had written separate letters demanding reservation to minorities, especially Muslims, proportionate to their population. The other letter demanded reservation to the poor among upper castes. 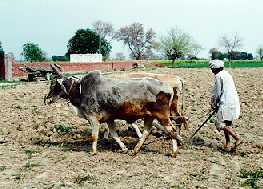 In her latest letter to PM Manmohan Singh, Mayawati observed that majority of the Jat community members earned their living from agriculture and allied activities. Owing to decline in agricultural land holding, the financial condition of Jat families had weakened, while they were educationally backward. Their children lagged in the field of school education and the community had inadequate representation in central services as well, she said. She mentioned the UP government had included Jats in the list of OBCs on March 10, 2000. Mayawati further said the central OBC list had included the Jats living in Rajasthan (excluding Dholpur and Bharatpur districts) through notification dated October 27, 1999. Since, Rajasthan was an adjoining state and the socio-economic condition of Jats in both the states was similar, there was a strong case for including UP's Jats also in the central OBC list. mayawati underlined that opportunities in the field of education, employment and other sectors would have to be provided to the community to bring about a positive change in their socio-economic condition. 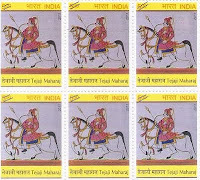 India Postal Department released a special commemorative stamp on Folk deity Veer Tejaji Maharaj at Kharnal in Nagaur Distt of Rajasthan. Union Minister Sachin Pilot released the stamp in a function in presence of thousands of people. The ruling Congress state President and former Minister Dr Chandrabhan, sitting Lok Sabha member Jyoti Mirdha, former Minister Harendra Mirdha and several dignitaries were present on the occasion. Veer Teja (1074–1103) is revered as folk-deity and worshiped in entire Rajasthan and Malwa region of Madhya Pradesh by all communities. Veer Teja ji is considered to be folk-deity and worshiped in entire Rajasthan by all communities. He was born on Friday, magha shukla 14 samvat 1130 (29 January 1074), in the family of Dhaulya gotra Nagavanshi Jats. His father was Chaudhary Tahar, a chieftain of Khirnal in Nagaur district in Rajasthan. 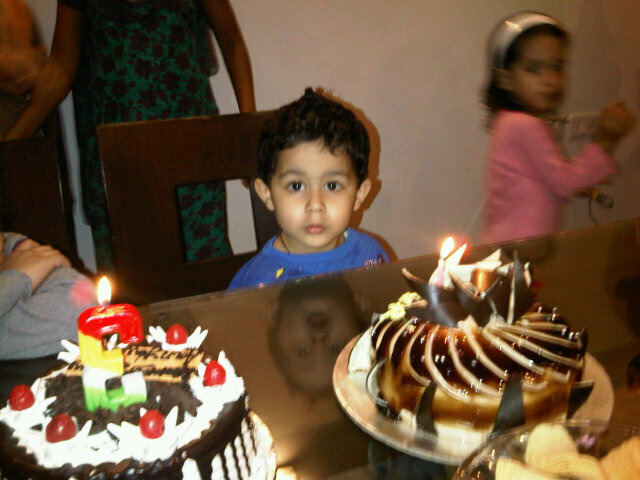 His mother’s name was Sugna. Mother Sugna is believed to have got son Teja ji by the blessings of Nāga-deity. It is believed that if a person suffering from snakebite goes to samadhi of Tejaji or puts a chord (tanti) in Tejaji s name, he is cured. 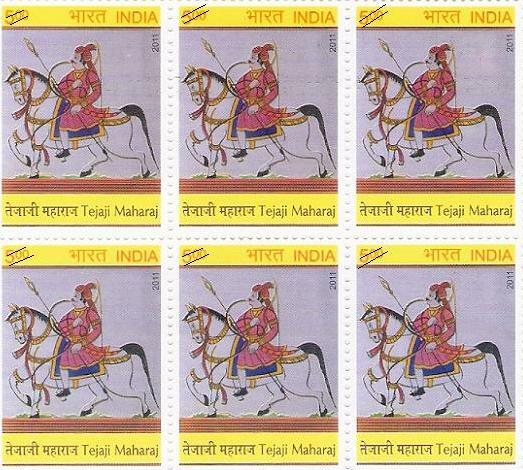 Tejaji is a demigod with the power to spare from death. Any snakebite victim who ties an amulet in Tejaji s name, is cured immediately. Prabha Choudhary elected Rajasthan University(RU) President and Becomes first woman president of Rajasthan Univesity in result announced today for Rajasthan University Student Unions(RUSU) Election 2011. She is independent Candidate, so this will be big setback for ABVP and NSUI. Specially for NSUI as she was NSUI candidate but open third front after fail to get President ticket from NSUI. She won election by more than 1200 votes, what a win. She thanks students for support, Mukesh Bhakar group and promise to facilitate university and affiliated colleges as per promise and election agenda. Special emphasis will be given for girls safety and facilities such as Wi-Fi facility, lighting, cultural and extra-curricular activities. Prabha choudhary also slam NSUI where she didn't get ticket from NSUI and fight election from Third from in Rajasthan University. Prabha Choudhary was born in Jat Family of Jaisalmer. She completed her school and Graduation from Banasthali University, Jaipur. 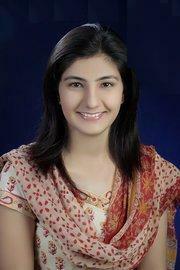 Now days she is persuing her Post-Graduate degree in LLB from Rajasthan Univerity, Jaipur. Congratulation to Prabha Choudhary for being President of Rajasthan University(RU), Jaipur. All India Jat Arakshan Samiti(AIJAS) sponsored Jan Sankalp march reaches Bhopal on Sunday. The march was called by the association to generate an opinion on the issue of reservation. It began on May 29 from where she came from; under the leadership of Yashpal Malik, the national secretary of the assocation. After the procession reach their community-hall. Similar to a city hall and the gathering will be addressed by Bhopal secretary of the association. Other leaders of the organisation also plan to speak at the occasion and gather support for their cause. 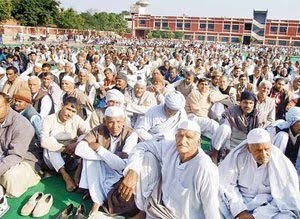 While the officials and subordinates of various ministries would be finalizing the contents of proposed bill on Khap Panchayat expected to be tabled during monsoon session of parliament, the Khap leaders have now started working on the strategies to oppose the same by staging agitations at New Delhi. 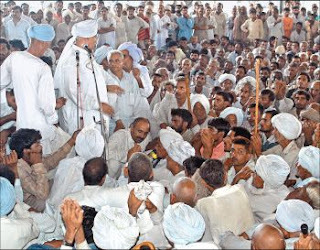 In no mood to give up against the Central government move, the All India Jat Mahasabha and the Jat Khap Mahapanchayat, both on Sunday decided to intensify their stir during the monsoon session. In a meeting of office bearers of Jat Mahasabha and Khap Panchayats from Bhiwani, Jind, Fatehabad and Rohtak districts, the jat leaders unanimously decided to protest against safe houses for runaway couples and proposed bill to be introduced for curtailing activities of Khap Panchayats. In a meeting, convened at Bhiwani's Jat Dharamshala, the jat leaders headed by Om Parkash Maan, also passed a resolution to put a check on the activities of Ved pal Tanwar, the chairman of Non-Jat Mahasabha. The jat leaders asked the representatives from Hisar and Fatehabad to approach the Rajput leaders asking them to put a check on the activities of Ved pal Tanwar. Veteran Jat leader and former Union Minister Daulatram Saran passed away at a hospital here following brief illness, today. Saran was 87 of was admitted to a hospital here three days ago where he breathed his last this morning. He is survived by two sons and four daughters. Rajasthan Chief Minister Ashok Gehlot, ruling Congress State President Chandrabhan, BJP State President Arun Chaturvedi and several other dignitaries went to his residence here to condole the death and console the family. The 87-year-old Jat leader, hailing from Sardarshahr in Churu was the Union Urban Development Minister in Chandra Shekhar's government . 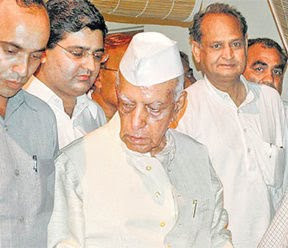 He was also the Agriculture Minister in 1957 in the Rajasthan government. He won the Assembly elections in 1957 and 1962 as a Congress candidate and as an Independent candidate in 1967 elections. He became the Member of Parliament in 1977, 1980 and 1989. Hii guys today i would told u wat we ought to do now .let me explain u two incidents of my life which happen with me when i was in my first yr of engg(now its third yr) upto my 12 th i was unawre of this caste system at admin level i was just having knowledge that we r jats from rajasthan reputed ones belonging to bharatpur district.i hav heard a lot abt jats from my frnds but was not mature up to the situation . So i never care abt my caste then i reaches my college it was a new lyf here just like unknown fellows from various parts of couintry after clearing a hurdle of engineering entrance brought up together n r going to be part of this country's bright engineers after final yr. As usual things were going softly one day i get involve in a little quarrel between two guys but i don't know that time i was just supporting the justice n truth i became angry with oppositions though they r my frnds n all fighting ends up after five days (i guess) when my friends whum i have behave rudly came to me with a large group n asked me too come in personnel then the one who was leader among them n (my best frnd earlier) came to me n said with smiling face dude sorry for that day n we all r here together for compromising for that n u need not worry about the same after all we know we r jats n can't bearinjustice then we hug each other with a smiling face n now we r best frnds again this makes me feel really proud abt my caste first tym n im still enjoying this feeling but after about two three months second incident happen when i guess gurjar andalon was goin on in rajasthan it was the hot topic those days when all were busy in finding reserved categories of quota system this was the tym when i came to know thats rajasthani jats r under obc category only except bharatpur n dhaulpur district as they r from royal blood or princely states now i have understood clearly everything abt this system then i enquire abt meena in my knowledge thay have completed ten years of their st reservation n still continuing with the same no matter they r acquired all the above stages of rajasthani gov but outside rajasthan they r still facing the shame.they blame their leaders .n now when we heard abt jat agitation for reservation in central for obc quotas i was not able to face those people of general category earlier with whum i was comfortable they said to me congratulation jatt sahab then something touches me from inside that tym i feel is it my fault that i m jat n i dont want u all to face such situation again but i m still proud for being my jat because still we r general n need not to face the tremble look of this world so i think we r made up with special talents n no need for reservation is there otherwise its not far when we will be guilty of being jat like meenas n other categories . U know today these meena's still hesitating to show their surname outside rajasthan or social sites like fb,orkut .n today we feel proud when using surnam as jat. so guys this was what i need to explain to u . der se hi sahi raaz to ham hi karenge is duniya pr but is tarah nhi we r born warriors n leaders so n know how to fight for our fate its challengin n hard but notimpossible to achieve success hope i was clear t my points . The Jat, as we have seen, is the backbone of the Punjab; for it is from this Scythian breed that most of the Sikhs and a number of the Punjabi Mussalmans derive their sinews and stout-heartedness. If you used the word in its broad ethnic sense, signifying all classes of Jat descent, the muster would include the best part of the roll of modern Indian chivalry. But it is with the Hindu Jat, whose ancestors were not seduced or intimidated by Islam and who himself is not sufficiently attracted by the Khalsa to become a Sikh, that this chapter deals. That neither material expediency, love of honour, nor the glamour of an ideal has turned him aside from the immemorial path of his ancestors presupposes a certain stolidity, in which one is not disappointed when one knows the man. Virendra Sehwag is one of the most aggressive batsmen in international cricket today. Also known as Viru, he is a right-handed opening batsman and an occasional right-arm off-spin bowler. Sehwag was born on 20th October 1978 in Delhi and played his first One Day International in 1999 and joined the Indian Test cricket team in 2001. In April 2009, Sehwag became the only Indian to be honored as the 'Wisden Leading Cricketer' in the World for his performance in 2008. He became the first player of any nationality to retain the award for 2009. Sehwag was born in a Jat family from Haryana as the son of a grain merchant. He spent his childhood in a bungalow in a joint family with siblings, uncles, aunts and sixteen cousins. 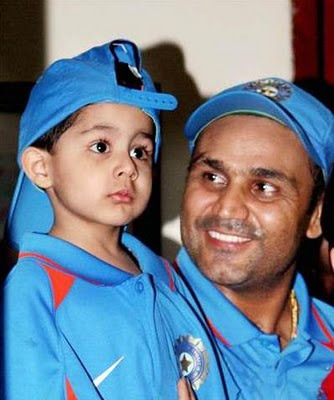 Sehwag was the third of four children born to Krishan and mother Krishna Sehwag. His father attributes his interest in cricket to a toy bat which he was given when he was seven months old. Sehwag attended Arora Vidya School in Delhi and pestered his parents to let him play cricket as he was not academically gifted. His father tried to end his career when he broke a tooth as a child in 1990, but he evaded the ban with a little help from his mother. Sehwag made his debut for Delhi cricket team in first class cricket in the 1997-98 season. He was selected to the North Zone cricket team for the Duleep Trophy the following 1998-99 season, ending fifth in the total run scoring list. The following year he was fourth on the Duleep Trophy run scoring list, including a 274, the highest score of the competition. This was against South Zone at Agartala in just 327 balls and followed a rapid 187 from just 175 in a Ranji Trophy match against Punjab. He was then selected for the U-19 team which toured South Africa. He was seventh in the 2000-01 season with two centuries, but his consistency earned the attention of selectors and he became a regular member in the national team in mid 2001. Sehwag made his Test match debut in 2001 as a middle-order batsman against South Africa with a century to his name, scoring 105. After the home series in 2001-02 against England and Zimbabwe, Sehwag was promoted up the order to open the innings in the 2002 England tour and he has remained in the order ever since. During the 2002-03 season, he scored his maiden home century of 147 against West Indies, earning his first Man of the Match award and on December 26, 2003, in a Test match against Australia, he scored 195. 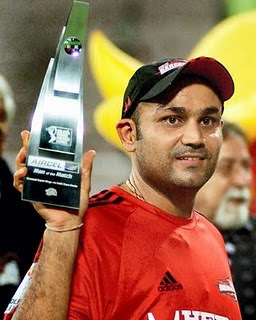 In 2004, Virender Sehwag scored the first ever triple century by an Indian with 309 runs against Pakistan, earning the Man of the Match award and later, the Man of the Series award. Bharatiya Kisan Union is an organization working for protecting the interests of farmers. Ch. Mahendra Singh Tikait is President of Bharatiya Kisan Union. 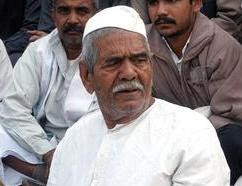 Mahendra Singh Tikait is a popular leader of farmers from Uttar Pradesh in India. He is a Jat of Raghuvansi gotra. He is Choudhary of Baliyan Khap. He is resident of village Sisauli of Muzaffarnagar in Uttar Pradesh. Tikait was a "Title" conferred to Head of Baliyan Khap by ruler of Thanesar, Raja Harshavardhana, in 7th century. From the time of Raja Harshavardhana the title 'Tikait' is being used by the Choudhary of Balyan Khap, alongwith his name, way down to generations. Jat Samaj Kalyan Parishad , Gwalior is an Organization of Jats in Gwalior region in Madhya Pradesh, India. It was started in 1981 and registered in 1988. Its objective is to awaken Jats about their rights and educate them by spreading the cultural, historical and geographical facts about Jats amongst its members. It works in association with All India Jat Mahasabha, Delhi. It is working on achieving social objectives of eliminating dowry, mrityubhoj etc social evils through organizing camps. * Conducting research on Jat history and Jat historical places. Their greatest contribution is finding of the historical facts, never recorded in history, that Jat rulers of Gohad had occupied the Gwalior fort twice Maharaja Bhim Singh Rana (1740-1756) and Maharaja Chhatra Singh Rana (1780-1783). During this period they constructed historical monuments in the Gwalior Fort -The Chhatri of Maharaja Bhim Singh and Bhimtal. * Organizing an annual fair at Gwalior fort in memory of its occupation by Jat Rulers Maharaja Bhim Singh Rana and Chhatar Singh Rana of Gohad state in Madhya Pradesh on the occasion of Ramnavami. * Organizing "Chaudhary Gyanaram Punia All India Jat Samaj General Knowledge Competition" every year. * Organizing group community marriages without dowry. * Organizing health camps and blood-donation camps. * Organizing Jat Sammelans at various places. 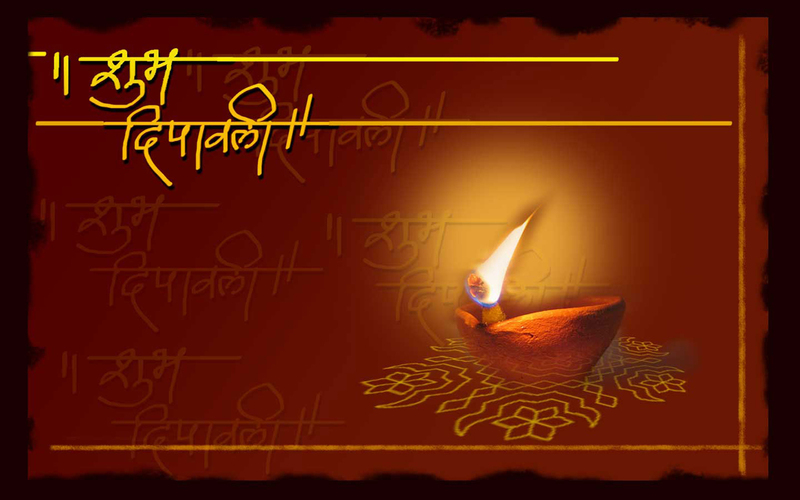 Jat Shakti Mahasabha Delhi was started in the year 2002 and registered in the same year also. Its headed by Sh. Jaikarn Choudhery. Patrons :Ch. Anup Singh, Ma. Rajveer Singh Sheoran and Ch. Jai Veer Singh. Battisa Khap consisted of 32 villages earlier but now the number have been increased to nearly about 50 villages. This is due to the expansion and establishment of new villages. This Khap is near Shamli ( Muzaffarnagar District) and its Choddar is in Bhainswal village. Bhainswal village is amongst the big villages of Muzaffarnagar. Ch. Udaiveer Singh Panwar is the Choudhary of this Khap. Himachal Jat Kalyan Parished (Regd.) is a registered organization working for the welfare of Jats. Jat Samaj Mumbai is an Organization of Jats in Mumbai region in India. It was started and registered in 1976th. Its objective is to awaken Jats about their rights and educate them by spreading the cultural, historical and geographical facts about Jats amongst its members. It works in association with worlds Jats . It is working on achieving social welfare, create literacy,justice and social promotion of the masses. Jat Samaj Mumbai,aim is to raise awareness about the social and economic problems faced by Jats.Dara Singh Randhawa is the currently president of the All India Jat Mahasabha organization also. Geeta Singh Phogat is a woman wrestler from India who won India's first ever gold medal in women's wrestling in the 55kg freestyle category at the 2010 Commonwealth Games. She hails from Bhiwani in Haryana. She had earlier won gold in the 2009 Commonwealth Wrestling Championship. Her father Mahavir Singh, a former wrestler himself, is also her coach. She has five sisters all of whom are wrestlers too. Babita Phogat is indian woman wrestler who win Silver medal in Commonwealth Games Delhi 2010. Yuzvendra Singh Chahal born on 23 July 1990 in Jind, Haryana. He play for Mumbai Indians, Haryana. Sunny Singh is a right-handed batsman of the Haryana cricket team. He was born on December 18, 1986 in Bhiwani. He has also played for the India Under-19 cricket team. This right-arm medium-fast bowler of the Haryana Cricket team started playing in the "First-class" cricket since 2003/04 seasons. Till then, Sunny Singh has played in 23 "First-class" matches with an average of 34.47. He has scored total 1310 runs in these matches, which includes 4 centuries and 7 half-centuries. 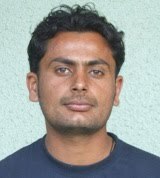 The highest score made by Sunny Singh in any of the "First-class" matches is 137 runs and his striking rate is 48.03. Rakesh Patel dismissed him mostly in these matches. While in bowling, Sunny Singh has picked up total 12 wickets by losing 486 runs out of the 880 balls he played in the "First-class" matches. His bowling average is 40.50 and economy is 3.31 in these matches. 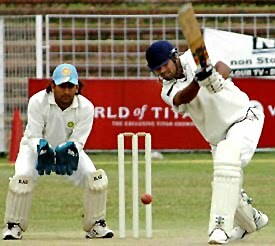 The latest "First-class" match played by Sunny Singh was against Jammu & Kashmir team, which was held at Jammu from December 1 to 3 in 2007. Sunny Singh dismissed Mahendra Dhoni, Amit Deshpande, Timir Chanda, Reetinder Sodhi, Andimani Pradeep, Mohammed Faig, Mohit Goel, Shahid Khan, Paresh Sutane, Rohit Prakash, Robin Uthappa and Chandramouli Prasad mostly in these matches. Sumit Narwal (born 1982)is cricketer from Chirao, Karnal, Haryana. He plays for Haryana, Delhi and the Rajasthan Royals. Sidharth Balhara is cricketer from Rajasthan. He is member of Rajasthan one day Ranji cricket team. Sanjay Budhwar is a right-handed batsman of the Haryana Cricket team. He was born on October 2, 1987 in Sunarian Khurd. He is also a left-arm medium-fast bowler of the team. 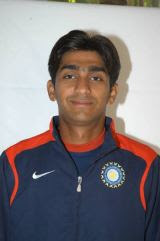 Sanjay Budhwar started playing in the "First-class" cricket against Andhra Pradesh team, which was held at Rohtak from November 23 to 26 in 2006. Till then, he has played in 10 "First-class" matches in his cricket career with an average of 9.66. He has scored total 58 runs in these matches, which includes 7 fours. The highest score of Sanjay Budhwar in any of the "First-class" matches is 24 runs and his striking rate is 26.36. While in bowling, Sanjay Budhwar has picked up total 19 wickets by losing 615 runs out of the 1170 balls he played in the "First-class" matches. His bowling average is 32.36 and economy is 3.15 in these matches. The latest "First-class" match played by Sanjay Budhwar was against Railways cricket team, which was held at Rohtak from November 23 to 25 in 2007. 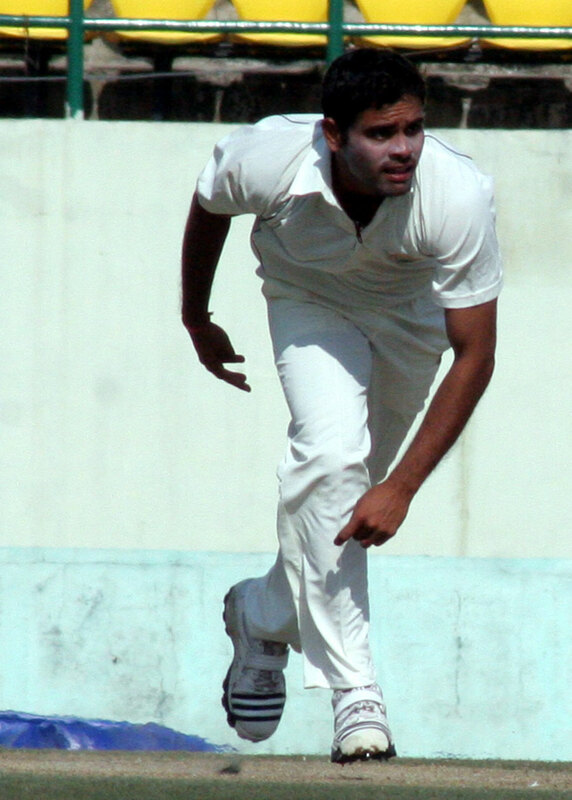 Sachin Rana is a right-arm medium-fast bowler of the Haryana cricket team. 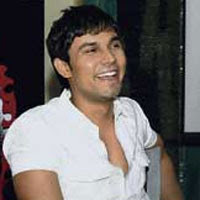 He was born on September 18, 1984 in Gurgaon, Haryana. He is also a right-handed batsman of the Haryana team. Apart from playing for the Haryana cricket team, he has also played for "North Zone" cricket team. Sachin Rana’s back injury was a setback for Haryana ahead of the start of the North Zone Twenty20 tournament in October. Rana had hoped to do enough to catch the eye of talent scouts of IPL teams. However, after missing the first two games of the Ranji Trophy season, Rana returned to score 214 runs and pick up 16 wickets during the remaining part of the campaign. It was this performance that helped him make an impact. Ten days after the IPL auction, Rana got a call from a representative of the Pune Warriors. In IPL IV, Rana will play under Yuvraj Singh now. “I had been performing consistently for the past few years. I had a dream to play in the IPL. But my injury during a practice session days before the T20 domestic tournament was a setback. Not only did I miss the entire North Zone leg but also had to rest for the first two games of the Ranji Trophy. I am happy I could score runs and take wickets subsequently,” Rana said. Kishan Singh Choudhary (Born December 22, 1981) is jat cricketer from Udaipur, Rajasthan. He is Right-hand batsman for Rajasthan team. 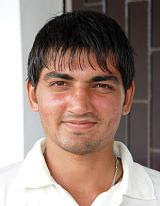 Ankit Lamba (Born on 3 December 1991) is Jat cricketer from khetri, Rajasthan. He is Right-hand batsman in Rajasthan Team. Harish Choudhary is member of 15th Barmer Lok Sabha Seat who defeated BJP candidate Manvendra singh, son of Jaswant singh. He is congress leader from western rajasthan and have done Post Graduation from Judhpur University. He was University president during his study at hometown Jodhpur and have good grip with the people of Barmer and Jaisalmer, so congress provided him ticket from Barmer Lok sabha seat. Badri Ram Jakhar is a member of the 15th Lok Sabha, the lower house of Parliament, from the Pali constituency. He is a Congress leader from Bhopalgarh He is a renowned businessman based on Jodhpur who owns 150 trucks, 80 buses, a hotel and four petrol pumps. He has also acted for upcoming Rajasthani film "Mhari Akhateej". Lal Chand Kataria is a member of the 15th Lok Sabha of India. He represents the Jaipur Rural of Rajasthan and is a member of the Indian National Congress political party. Dushyant Singh is a member of the 15th Lok Sabha of India. He represents the Jhalawar-Baran constituency of Rajasthan as a member of the Bharatiya Janata Party (BJP) political party. Dushyant Singh was born to Hemant Singh, the erstwhile Jat Maharaja of Dholpur in Rajasthan . His mother, Vasundhara Raje, is the ex-Chief Minister of Rajasthan, a former Union Minister, Maharani of Dholpur and a member of the Scindia royal family of Gwalior. He was educated at Doon School, Dehradun; St. Stephen's College, Delhi. Mahadev Singh Khandela is MoS and member of 15th Lok sabha seat from Sikar, Rajasthan from Indian National Congress. Mahadev Singh khandela, a staunch loyalist of chief minister Ashok Gehlot, had been a five-time MLA from Khandela assembly constituency in Sikar district and had once won as an Independent when the party denied him a ticket. Sis Ram Ola is a member of the 15th Lok Sabha of India. He represents the Jhunjhunu constituency of Rajasthan and is a member of the Indian National Congress. During 15th Lok Sabha elections BJP was unable to find a candidate in his opposition and his win was very clear from the beginning of elections. He was a Member of the Rajasthan Legislative Assembly from 1957 to 1990, and from 1980 to 1990 he was a Cabinet Minister in the Government of Rajasthan. He is born in a jat family of ola gotra and he belongs to aradawata village near chirawa. He considers bangothari as his second village and he was close to late Shri Jaikaranram poonia of bangothari who was pradhan from surajgarh panchayat simiti. He started girls education in a remote area in rural Rajasthan with three girls in the school known as Indira Gandhi Balika Niketan Ardawata in 1952; as a result of these efforts during 1952-96, brought Jhunjhunu district to third place in literacy (in Rajasthan). 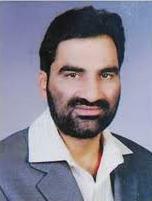 Kishan Singh Sangwan (born 15 June 1948) is a member of the 14th Lok Sabha of India. He represents the Sonepat constituency of Haryana and is a member of the Bharatiya Janata Party (BJP) political party. Shruti Choudhry is granddaughter of former Haryana chief minister Late Chaudhary Bansi Lal and daughter of former Haryana agriculture minister and two time MP Late Chaudhary Surender Singh.Her mother, Kiran Choudhary was Minister of State for Tourism and Forest in Haryana's cabinet. A lawyer by education, she was chosen by congress party to contest Lok sabha election from Bhiwani-Mahendragarh in 2009 and defeated her nearest rival Ajay Singh Chautala of INLD. Deepender Singh Hooda (born 4 January 1978) is a member of the 15th Lok Sabha of India. He represents the Rohtak constituency of Haryana and is a member of the Indian National Congress (INC) political party. He is son of Haryana chief minister Chaudhary Bhupinder Singh Hooda. Jitender Singh Malik is current Member of Parliament of India from Sonepat. Before elected to parliament, he was legislator from Kailana assembly constituency in Haryana. In 2009 general elections, He defeated three times sitting MP Chaudhary Kishan Singh Sangwan of Bharatiya Janata Party (BJP). Kanishtha Dhankhar (22) from Mumbai won the Pantaloons Miss India World 2011 title at a glittering function in Mumbai tonight. She had earlier won the Pantaloons Femina Miss Body Beautiful. Hasleen Kaur from New Delhi won the Pantaloons Femina Miss India Earth 2011, while Ankita Shorey from Mumbai won the Pantaloons Femina Miss India International 2011. Miss India 2010 winners Manasvi Mamgai, Nicole Faria and Neha Hinge crowned the 2011 winners. Kanishtha Dhankhar is a model by profession. Her favourite actor is Leonardo DiCaprio and she rates Sachin Tendulkar as her most favourite sportsperson. Ankita Mohapatra from Bhubaneswar won the Bollywood Diva Title. She will act in a forthcoming film under Nadiadwala Grandsons Entertainment banner. Rakul Preet Singh, who was one of the top 5 finalists, won the Miss India Online Poll 2011. She was the first choice of the online audience. The judges of the show included Kangna Ranaut, Fardeen Khan, Urmila Matondkar, Ritu Kumar, Shiamak Davar, Leander Paes, Tarun Mansukhani, Sajid Nadiadwala and Prachi Desai. Tarun Mansukhani, was the first to break the news, when he tweeted, "Judges unanimous winner of the miss india crown is.... Kanishtha Dhankar!!" Pressing for their demand for reservation in central government jobs, the jats across northern India will hold a mahapanchayat in Delhi on April 20. Addressing a press conference, the Jat leaders said would now restart their agitation after the Mahapanchayat and this time they would take it to its logical conclusion. 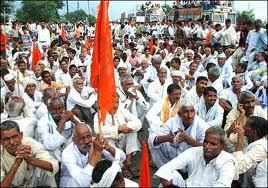 "After the mahapanchayat we will submit a memorandum of our demands to the prime Minister. If the central government fails to take notice of our demands this time, we will restart our agitation and it will intensify with every passing day," said Narain Singh, chairman, Jat reservation Committee. He said their protest will now hit the streets and they would also block traffic along the highways and arterial roads. The Jats of northern India have been demanding their inclusion in the list of backward classes for jobs in the government. "The government has been keeping us in dark for quite sometime now. They have not paid any heed to our genuine demand. We will not let it happen for long," Singh said. Haryana government reconstituted a commission for looking into issues related to inclusion of communities in the list of Other Backward Classes (OBC) of the State. Former justice KC Gupta of Punjab and Haryana high court would be the chairperson of the commission, said chief minister Bhupinder Singh Hooda said in a statement. The other two members would be Jai Singh Bishnoi of Hisar and Som Dutt, an advocate from Kurukshetra, he said. An IAS or an HCS officer of the rank of joint secretary to the Government of Haryana will be the secretary of the commission. The term of the chairperson and members of the commission will be for a period of three years, the release said. The commission has been reconstituted in the wake of recent protests by Jats demanding reservation in OBC category. The protest had resulted in disruption of rail traffic for about a fortnight at Hissar, Jind and other places. Malwa is a region in western India occupying a plateau of volcanic origin in the western part of Madhya Pradesh state and the south-eastern part of Rajasthan. According to Thakur Deshraj Malwa gets its name from Mall republics who were famous during Mahabharata and Bhuddhist periods. There Mall tribe was known as Malloi at the time of Alexander. Mall tribe is found in Jats and Brahmans. According to Katyayan they became Malwi in Brahmans and Mali in Jat Kshatriyas. Both these words have been derived from Sanskrit word Malav. Mall tribes were in the neighbourhood of Videhi tribe and came to this area in later periods. Earlier this country was known as Avanti. 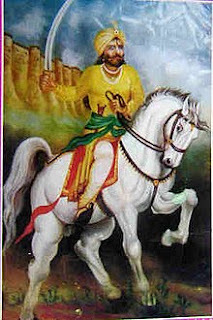 Vikramditya was ruler of this country. Malwa was a fertile and wealthy country. Like Punjab and Sindh it was abode of Jats. Jats ruled this country. The history of Malwa prior to 4th century BC is in dark. Malwa region was inhabited by Dasharn, Dasharh, Kuntal and Charman tribes. Bhoj tribes were in and around Dharanagri. Dasharn and Dasharh tribes ruled at Mandsaur, which was earlier known as Dashpur or Dashaur. Charman (Chahar+Maan) tribes ruled on the banks of Chambal River. Apart from these tribes this country was also ruled by Mauryans, Guptas, Andhak and Panwar. These groups from outside the Malwa and had destroyed the Republics of Malwa. Prior to these groups from outside Malwa, Mallois were the rulers of these Republics. During Alexander’s period Kshudrak tribes were reported in their neighbourhood. Out of these castes some are found in Jats and Rajputs. Dashpuria, Bhoj and Kuntal are found in Jats only. Bangari tribes also ruled Malwa and one area of Malwa region is known as Bangar after them. Traces of Bangars are found in Brahmans and Jats both. Aryavir Sehwag is son of Indian dashing opener Virendra Sehwag. 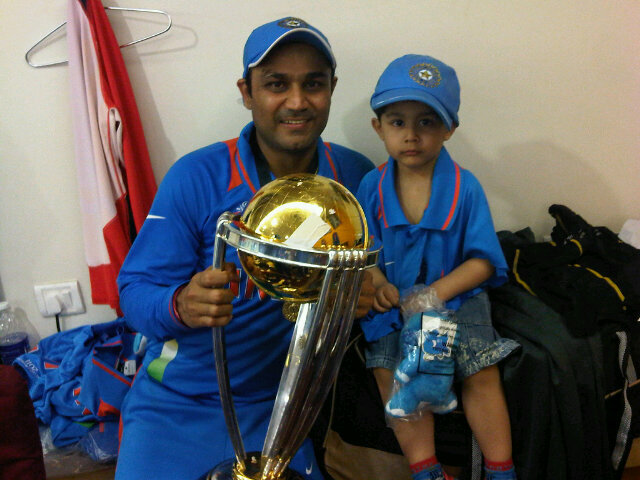 Virendra Sehwag is married to Aarti and has son named Aryavir. Sehwag is a pure vegetarian and owns few few restaurants. He also does charity work for the UNICEF. Munna Lal Mundel is (Naik) in (9th Jat Regiment). He is from village Mundwa in Nagaur district in Rajasthan, India. He got Shaurya Chakra award from President of India, Shri APJ Abdul Kalam Azad at a solemn ceremony in Rashtrapati Bhawan, on April 12, 2005 Chaitra 22, 1927, for his indomitable courage and extreme devotion. Rajiv Tomar was born in Jat family of Tomar clan in Malakpur village in Baraut district of Uttar Pradesh. 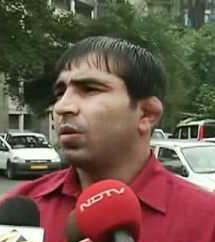 Rajiv Tomar is an Indian wrestler. He represented India in the men's freestyle 120 kg category at the 2008 Summer Olympics in Beijing, but lost to Steve Mocco of United States in qualifications. He is Arjun Award Winner 2010 (Wrestling). 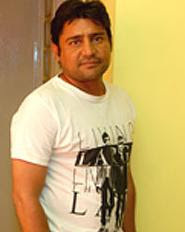 Vijay Dahiya was born on May 10, 1973 in Delhi. He is an Indian cricketer. He is a right-handed batmsan and wicketkeeper. He took part in List A cricket from 1993-2004. He became India's fifth wicketkeeper in sixteen months during the 2000-01 season. Though not the most elegant of performers, he can sometimes get himself involved in some good innings. Dahiya was a participant of the North Zone team which won the Duleep and Deodhar Trophies in the 1999-2000 season. Mahima Chaudhary was born Ritu Chaudhry in Darjeeling, West Bengal. Her father is from Kakripur village in Baghpat, Western Uttar Pradesh and is a Jat. Her mother is a Nepali from Darjeeling. She attended Dow Hill school till class X and later moved to Loreto Convent for her plus two levels. She completed her ISC board in 1988. She also attended Loreto College in Darjeeling. She won a local beauty pageant in Darjeeling before moving to Delhi for college. Initially in the 90s, she appeared in TV advertisements (including the Wall's ice cream ad when the brand entered India), and was a VJ on music channels where she was noticed by Subhash Ghai. Ghai gave her a break in the movie Pardes which was released in '97. Ghai also renamed her due to some superstition. He considered M to be lucky for her. 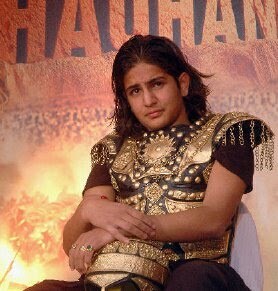 Rajat Tokas was born on 19th July 1993 in Munirka, South Delhi to Ramvir and Pramila Tokas. He studied in the Hope Hall Foundation School, R.K. Puram, Delhi. Due to his hectic schedule as an actor, he began studying through correspondence. His father encouraged him to pursue acting as his career, when he started showing some interest in the field. His father Ramvir Tokas left his job for his son's career. He was 15 when he went along with his dad to Mumbai to give auditions for Sagar Art's Sai Baba. He got casted in the auditions and went to Baroda. He played the role of Tantya (Sai Baba's brother). 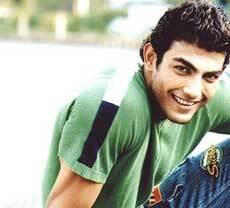 He achieved recognition by playing the lead role in an Indian television series , Dharti Ka Veer Yodha Prithviraj Chauhan. He played the role of Veer in a Dharam Veer on the newly launched channel, NDTV Imagine. He can currently be seen in the new series being aired on STAR Plus, "Tere Liye" as 'Robindo'. Parvin Dabas was born into a Jat family of Dabas Gotra. His family is from Kanjhawala, Delhi. He studied in Modern School Vasant Vihar, New Delhi and then in Hans Raj College, Delhi University. Dabas made his film debut in the 1999 film Dillagi but Monsoon Wedding launched him and has since appeared in over 10 Bollywood films. He later starred in films such as The Hero: Love Story of a Spy, Maine Gandhi Ko Nahin Mara and Khosla Ka Ghosla for which he won acclaim. He is directing his first film Sahi Dhandhe Galat Bande (Right job for the wrong guys) which is due for release. Parvin is also a trained scuba diver and underwater photographer. He is married to fellow actress Preeti Jhangiani on 23 March 2008. Pravesh Rana was born in a Hindu Jat family. He was born in village Nirpuda near DAHA Of district Baghpat (up). His father is a police inspector. His schooling was done in various cities of uttar pradesh. [clarification needed] He completed his BA(h) economics from Ramjas College Delhi University. 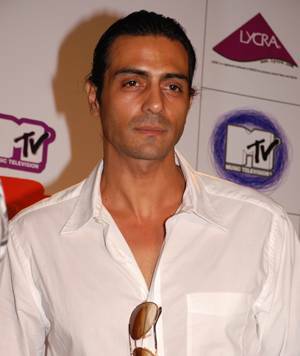 Arjun Rampal was born in Jabalpur, Madhya Pradesh, India on 26th November 1972 to a family from Delhi. 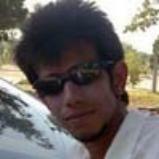 His father’s name is Amarjeet Singh Rampal and his mother’s name is Gwen Rampal. Arjun along with his sister attended the Kodaikanal International School situated at Palani Hills in Tamil Nadu. His mother was a teacher in the school at the time. Arjun went on to complete his Bachelor’s degree in Economics stream from the highly regarded Hindu College in Delhi. Actress Kim Sharma is his cousin. Arjun Rampal married former Miss India and supermodel Mehr Jesia and they have two daughters, Mahikaa, born on 17 January 2002 and Myra, born June 2005. Ranabai was born in the family of Chaudhari Jalam Singh of village Harnawa in Parbatsar pargana of Marwar. She was a Jat warrior girl and a Hindu mystical poetess whose compositions are popular throughout Marwar region of Rajasthan, India. She was granddaughter of Jalam Singh of village Harnawa in Parbatsar pargana of Marwar. Jalam Singh was a Hindu Jat chieftain of Ghana/Dhoon gotra(clan). Village Harnava is situated in Nagaur district midway between Degana railway station and Parbatsar towns. She is known as 'Second Mira of Rajasthan". She was a disciple of sant Chatur Das also known as Khojiji. Ranabai composed many poems (padas) in Rajasthani language. Train services resumed partially in Haryana Sunday as Jats seeking job quotas vacated tracks after around three weeks, the protests costing the railways Rs.300 crore, officials said. Railway officials are checking the tracks to see if any wear and tear has taken place. 'Rail traffic has been partially resumed, and soon it will be in full flow,' an official said here. The official said the three weeks of crippled train services in Haryana caused a whopping loss of Rs.300 crore. Jats blocked rail tracks at several places to press their demand that a portion of government jobs should be set aside for them under the Other Backward Classes (OBC) quota. The worst-hit districts were Hisar, Bhiwani and Jind. The protesters Saturday withdrew their agitation after the government gave a written assurance that their demand would be examined. 'We will wait for six months. If they again betray us, we will re-launch the protest,' said Hawa Singh Sangwan, president of the Haryana Jat Arakshan Samiti. 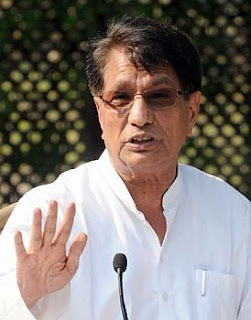 Rashtriya Lok Dal president Ajit Singh accused the Mayawati government of sponsoring and patronizing the recent Jat agitation that affected the rail movement on Lucknow-Delhi route for over two weeks causing inconvenience to thousands of commuters. However, Ajit clarified that he supports the demands of Jats for their quota in central government jobs under OBC category. Addressing a press conference in Lucknow on Saturday, Singh claimed, “Jat stir was sponsored and backed by the Mayawati government. Mayawati supported the Jat agitation as she is afraid of RLD.” Singh said that Samajwadi Party had started their agitation in UP when Jat stir was going on in J P Nagar. “Mayawati government had brutally assaulted SP workers to suppress their agitation. But no action was taken against Jat community people,” he said. The RLD chief said that he supports the demand of Jats but he criticized the manner of agitation that cause inconvenience to public. “Agitation and dharna should be for communicating message to government but it should not affect the life of common man,” he said. He said that Jats were getting reservation in six states and their demand for the same in central services was justified. He was a Member of the Indian Parliament (Lok Sabha) for four terms in 1991, 1996, 1998, 2004 and the Leader of Opposition in Haryana's Legislative Assembly from 2001 to 2004. Ch. B.S. 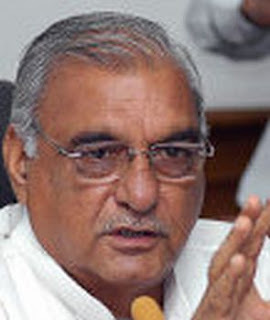 Hooda also served as the President of HPCC (Haryana Pradesh Congress Committee) from 1996 to 2001. For three consecutive Lok Sabha terms he entered Indian Parliament, defeating Ch. Devilal, another Jat leader, in electoral battles fought in the Jat heartland of Rohtak in Haryana. Hooda has led various farmer movements in Haryana. He is from the Indian National Congress. He is also a Member of the Bar Council of Punjab and Haryana. 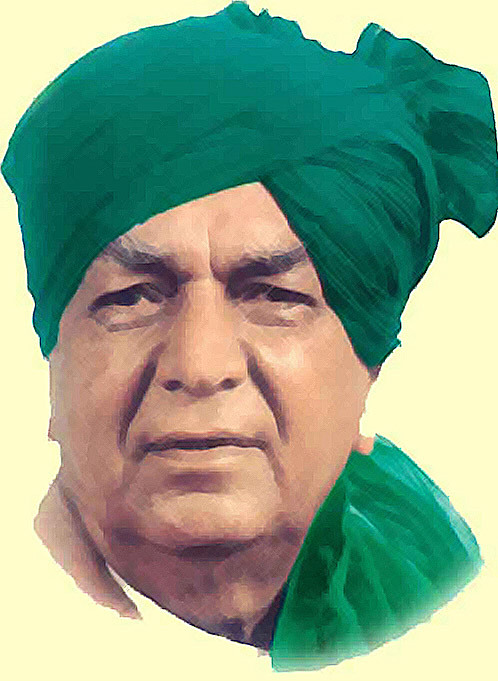 Chaudhary Devi Lal Sihag was an Indian politician, freedom fighter, Chief Minister of the state of Haryana and Deputy Prime Minister of India. He was born in a Jat Hindu family of Sihag clan on 25 September 1914 in Teja Khera village of Sirsa district in Haryana, India. His mother's name was Shugna Devi and father's name was Ch. Lekh Ram Sihag.Ch. 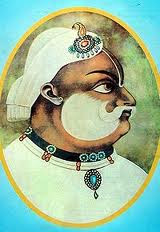 Lekh Ram was a wealthy Jat landlord of Chautala village and he owned 2750 bighas of land. Ch. Devi Lal, whose original name was Devi Dayal, received education up to middle and also trained as a wrestler at an 'Akhara' in Badal village (Punjab). On Mahatma Gandhi's call, both he and his elder brother Ch Sahib Ram, left their studies unfinished to take part in the freedom movement. His son Om Prakash Chautala is also a former Chief Minister of the state of Haryana . He belongs to the Jat clan of Bagris. Chaudhary Bansi Lal was an Indian freedom fighter, senior Congress leader, former Chief Minister of Haryana and considered by many to be the architect of modern Haryana. He was born in a Jat family of Golagarh village in Bhiwani district of Haryana. He served three separate terms as Chief Minister of Haryana: 1968-75, 1985-87, and 1996-99. Bansi Lal was considered a close confidante of former Prime Minister Indira Gandhi and her son Sanjay Gandhi during the Emergency era in 1975. He served as the Defence Minister from December 1975 to March 1977, and had a brief stint as a Minister Without Portfolio in the Union government in 1975. He also held the Railways and Transport portfolios. Lal was elected to the State Assembly seven times, the first time in 1967. 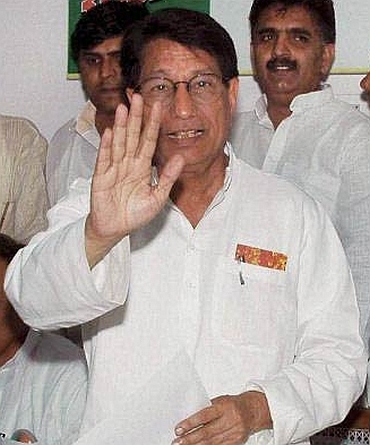 He set up Haryana Vikas Party after parting ways with the Indian National Congress in 1996. Chaudhary Charan Singh was the fifth Prime Minister of the Republic of India, serving from 28 July 1979 until 14 January 1980. Born into a Kshatriya Jat family of Tevatia clan in 1902, Charan Singh entered politics as part of the Independence Movement. 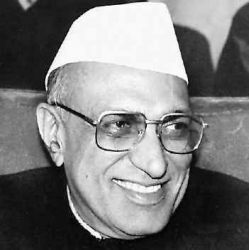 After independence he became particularly notable in the 1950s for opposing and winning a battle against Nehru's socialistic and collectivist land use policies, for the sake of the Indian Farmer, which endeared him to the agrarian communities throughout the nation, particularly in his native Uttar Pradesh. The leader of the Bharatiya Lok Dal, a major constituent of the Janata coalition, he was disappointed in his ambition to become Prime Minister in 1977 by Jayaprakash Narayan's choice of Morarji Desai. He settled at the time for the largely honorary post of Deputy Prime Minister of India. However, the internal stresses of the coalition's government caused him to leave the government with the former Lok Dal, after being promised by Mrs. Gandhi the support of the Congress Party on the floor of the House in any efforts to form a government. He was sworn in as Prime Minister with the support of just 64 MPs. During his term as Prime Minister the Lok Sabha never met. The day before the Lok Sabha was due to meet for the first time the Indian National Congress withdrew their support from his Bharatiya Lok Dal Government. 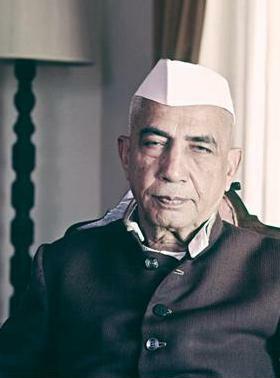 Choudhary Charan Singh resigned and fresh elections were held six months later.